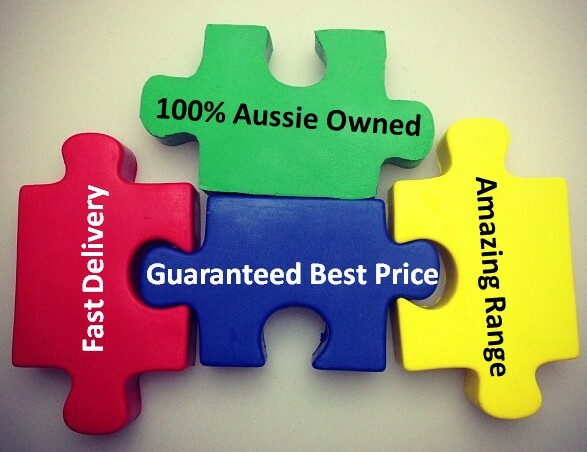 Purchase promotional USB flashdrives, custom branded with your desired images or logos. This popular swivel flashdrive features a plastic body, with a stainless steel cap that swivels around the USB. This swivel provides both protection as well as a large branding area for you to personalise. 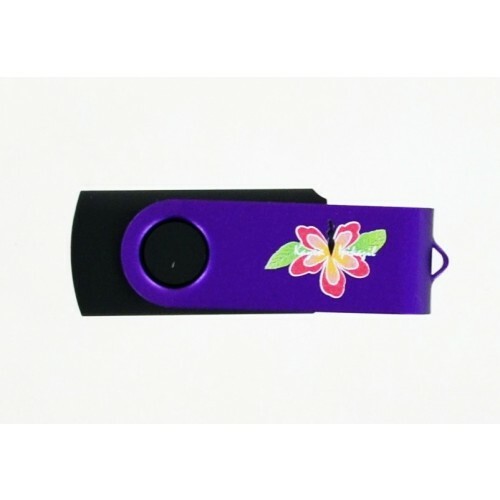 This particular style of flash memory drive is available with an option to laser engrave with your images and graphics. The laser engraving is done on the metal portion of the flash memory drive only. An alternate way to personalise this USB flashdrive, is via screen printing. 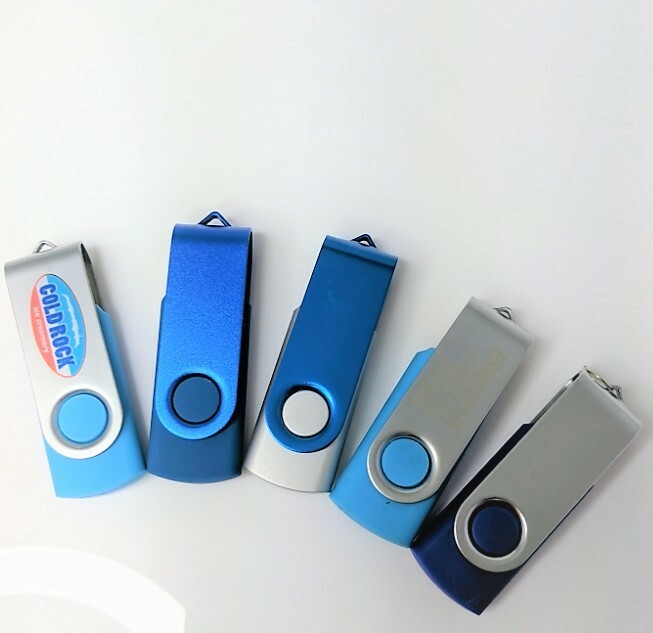 We can print your graphics on the metal part of the flash drive with upto 4 different spot colour prints, with your choice of Pantone Colours. 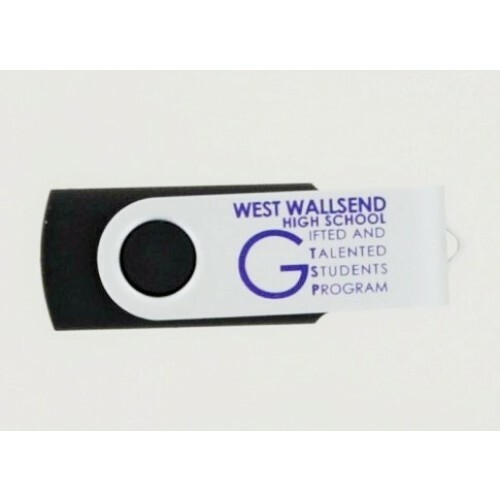 The third method available to decorate this flash memory drive with your images and graphics is through direct digital print. A direct digital print allows for a photo quality finish of your desired image on the metal portion of the flash memory drive.